Liverpool manager Kenny Dalglish hailed Sunday's 3-1 win over Premier League leaders Manchester United as the club's best moment of the season so far. 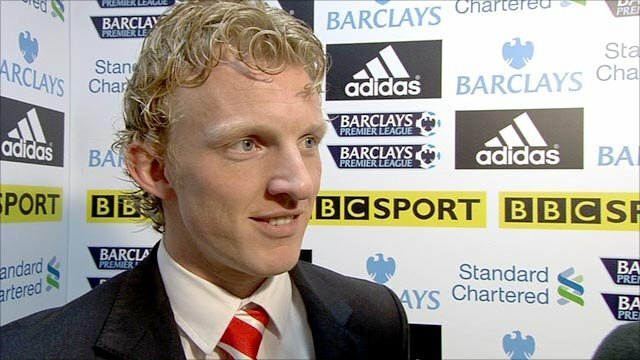 A Dirk Kuyt hat-trick put the home side well in control before Javier Hernandez headed an injury-time consolation. "It has been a difficult season for Liverpool - that has been the highlight, but we're not finished yet," said a delighted Dalglish. "Everyone enjoyed the day and I think they deserved to win." He added: "It was very important to get three points but the way we played was really important as well. "The players deserve great credit for the way they went about their work - their attitude, commitment and pride at playing at Liverpool was apparent. "You aren't going to get too many opponents as good as Manchester United and that helps confidence but at the end of the day, we got three thoroughly deserved points." Kuyt's hat-trick was the first for Liverpool against United since Peter Beardsley's in September 1990 as Luis Suarez had a hand in all three goals. There was also a long-awaited debut for £35m record signing Andy Carroll after more than two months on the sidelines with a thigh injury. "It's great for Dirk - anything he gets he deserves because he works really hard in every game he plays," stated Dalglish. "It's nice that we are starting to get people back who are important to us. "Suarez is fantastic to watch, but it's been a bit stop-start for him because he can't play in the Europa League which hasn't helped, but he has started to get fit again. "Andy Carroll playing his first game is a reward for the work he has done with the medical people and we will hopefully add to the number of minutes he plays as we go on, but we won't risk him." Dalglish played down the first-half incident which resulted in defender Jamie Carragher being booked for a challenge on Portugal international Nani who left the field on a stretcher with a gash several inches long on his right shin. After the game Carragher sent an apology to Nani in the United dressing room and waited for the winger so he could personally say sorry for causing the injury. A United club spokesman said the Portuguese player's injury would be assessed on Monday. 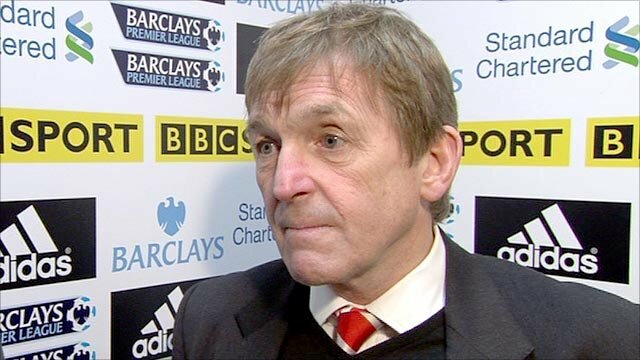 Dalglish admitted his side still had some way still to go before they could challenge Manchester United for the title again. "The closer you get to the top the more difficult it is to close the gap," he said. "Moving from 20th to sixth is not as big a problem as moving from two to one, so the higher you go the more difficult the step up is."